BUSHNELL, Fla. — Deputies say someone stole a rare alligator from a building before setting it on fire, killing the 43 other reptiles inside. 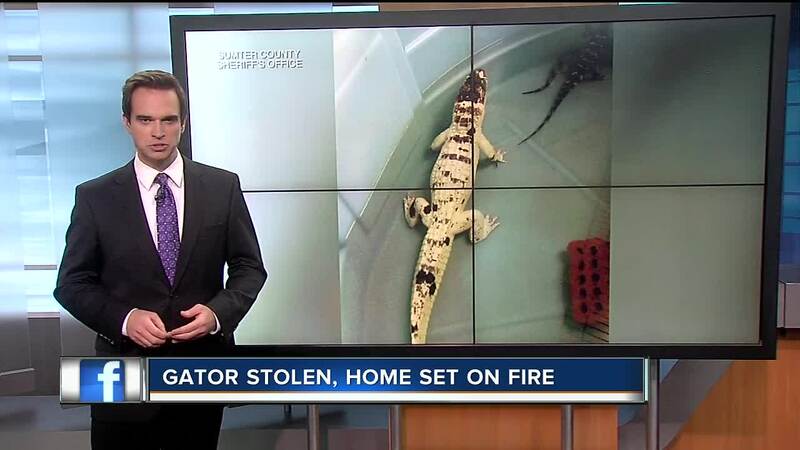 Sumter County Sheriff's Office Deputies say they were responding to a structure fire when they found that a rare alligator was missing, possibly stolen. The victims told officials that the rare Leucistic alligator, named Snowball, was in the building that morning. But when deputies performed a search after the fire Snowball was nowhere to be found. Leucistic alligators have a rare genetic mutation that causes the animal to lose color so they are primarily white — often with blue eyes. Deputies believe whoever set the fire did it after they stole the rare animal. During the search, officials were able to account for all of the other reptiles housed in the building. In total, 43 alligators and crocodiles were found dead. The State Fire Marshal's Office is investigating the cause of the fire — which officials believe to be arson at this time.